September 28, 2012 – Foothill Ranch, CA – Team VeloSport Inc., officially announces signing a 3 year title sponsorship agreement with Rokform. After five very successful seasons with it's previous title sponsor, SHO-AIR, Team VeloSport management have inked a three year deal with their new title sponsor, Rokform® LLC. Rokform was founded by the owners of Two Brothers Racing® Inc. - one of the world’s premier aftermarket manufacturers for the powersports industry. Launched in January 2011, Rokform® has quickly established itself in the consumer electronics industry by manufacturing uniquely designed and engineered products for mobile devices. Rokform® products include Billet Aluminum and Polycarbonate Cases, Screen Protectors, various Mounting Options and Stands. Initially started in 2002 by a small group of bicycle racing and fitness enthusiasts, Team VeloSport has since grown to Orange County's largest cycling organization with nearly 700 active members. It's membership is primarily based in Orange County and surrounding counties but stretch as far away as Los Angeles and San Diego Counties and out-of-state. 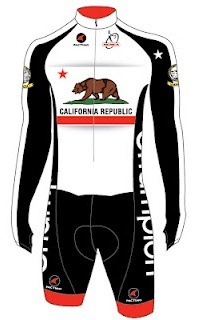 Based out of the Rock N' Road Cyclery stores in Orange County, California, Team VeloSport attracts experienced riders and racers as well as beginner and recreational cyclists of all ages. Team VeloSport is a United States Cycling Federation (USCF) registered club that actively promotes the sport of bicycle racing, however, the team shares their enthusiasm with those unfamiliar with cycling and is open to all disciplines and levels of cycling ability. The club's goals are to present cycling in a positive light to the community and to promote safe, responsible cycling. For more information on Rokform, please visit www.rokform.com. 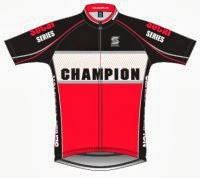 For more information on Team VeloSport, please visit www.teamvelosport.com.